Elizabeth Burns: Hey! That's My Blog Name There! 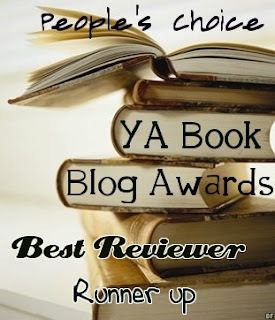 Yep, I'm a runner up in the Best Reviewer Category for the YA Book Blog Awards. Which I find especially flattering because, as you all know, my Year of Printz Reading meant I had to cut down the volume of reviews. So thanks guys! Why I like things like this: it's a good way to find out about new blogs. So now that I've shared the news, I'm off to see if I need to add any blogs to my bloglines account. The full list is over at Hey, Teenager of the Year; and this was organized by Steph Bowe. Congratulations on your nomination! Well-deserved. I'm a frequent reader of your site. Um, who are all those other bloggers? It's like a new world.